The inviolate rule among pro-abortionists is to deny up and down what their proposals clearly allow and then hide hoping things will all blow over when the truth comes out. New York’s recently passed “Reproductive Health Act,” passed to the cheers of pro-abortion Democrats, is horrible on every count, including: authorizing abortion on demand through birth; establishing abortion as a “fundamental right”; allowing any health care practitioner to perform an abortion as long as they act in “good faith”; and repealing protections against illegal abortion, such as criminal acts of violence against a pregnant mother and her child. But it is the latter that is now in the news (at least in the New York Post) —and pro-abortion Gov. Andrew Cuomo , who vigorously promoted and then signed the RHA into law is nowhere to be seen. Jennifer Irigoyen was five months pregnant when she was stabbed multiple times in the abdomen. “He’s going to kill the baby!” she reportedly screamed as her attacker repeatedly plunged a knife into her abdomen. Here are lead paragraphs of a story that ran under the headline, “Accused murderer spared abortion charge thanks to Cuomo’s new law,” by Natalie Musumeci and Carl Campanile. Hobson turned himself in Friday and was charged with murder, authorities said. 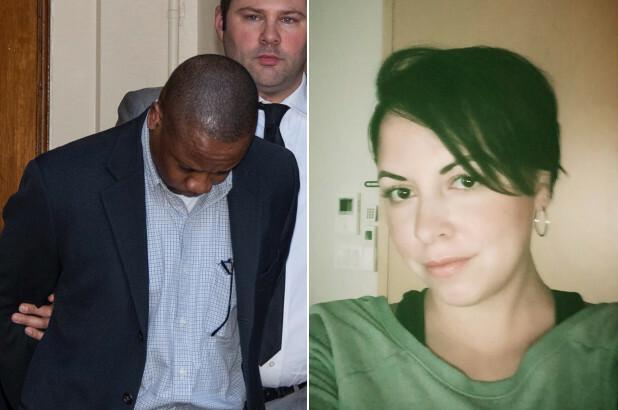 “The Rego Park man was ordered held without bail on charges of second-degree murder, tampering with physical evidence and fourth-degree criminal possession of a weapon over the death of Jennifer Irigoyen, 35,” according to the New York Post. What can we say about this ghastly double murder? The Democratic governor’s favorability rating fell to 43 percent with 50 percent viewing him unfavorably, down from 51 percent to 43 percent last month, the lowest figures Siena recorded since Cuomo took office in 2011, the Albany-area polling institute said. His job-performance rating also fell significantly: 35 percent said he was doing an “excellent” or “good” job, compared to 64 percent who said “fair” or “poor”. Last month, it was 43 percent and 56 percent, respectively. The RHA itself still have majority support. Note, however, the Sienna College poll was taken February 4-7, before the murders of Irigoyen and her baby. *The RHA has been becoming a rallying cry for pro-lifers and a warning to other states contemplating similar abortion on demand laws that also remove the possibility of prosecuting men who kill unborn children when they attack their pregnant mothers. The charges filed against the perpetrator included second degree murder for the killing of the mother and second degree abortion for the intentional targeting of her baby. But, on the same day, the District Attorney was compelled to drop the abortion charge because that crime no longer exists. It was purged from our laws by the so-called “Reproductive Health Act” championed by the Governor and passed by the Democratically-controlled legislature in January. In the Senate, Republicans offered an amendment to maintain the felony crime of intentionally targeting a pregnancy in an assault, but the Democrats voted it down. They knew exactly what they were doing by moving abortion from the criminal code to the public health law: they were doing Planned Parenthood’s bidding. Now families like those grieving for Jennifer and her unborn child can never have complete justice, because prosecutors have lost a vital tool with which to secure it. This is a shameful and grossly unfair consequence of extreme pro-abortion advocacy and lawmaking. Voters should remember it.